Waking up in hell was not Del Bellator's idea of a good time. 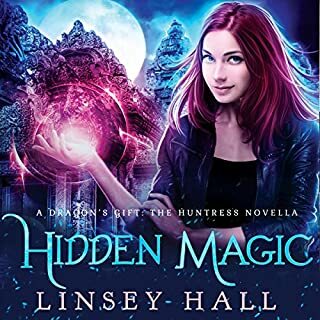 She'd rather be back on earth, killing demons and hunting down magical treasure for her shop, Ancient Magic. 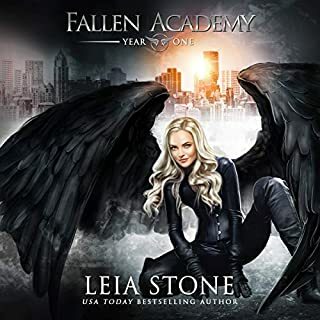 Things get sticky when Roarke Fallon, Warden of the Underworld, shows up on her doorstep wanting to drag her back to hell. He's a one-of-a-kind shifter - the most powerful she's ever met - and he's set his sights on her. Helping him catch an escaped demon gives her an opportunity to win her freedom, but only if she teams up with Roarke. She'll have to use her forbidden magic to get the job done. And that is a recipe for discovery...and disaster. As soon as this book ended, I bought the next one. I thought I might wait, but nope, it went right to the audible shopping cart. 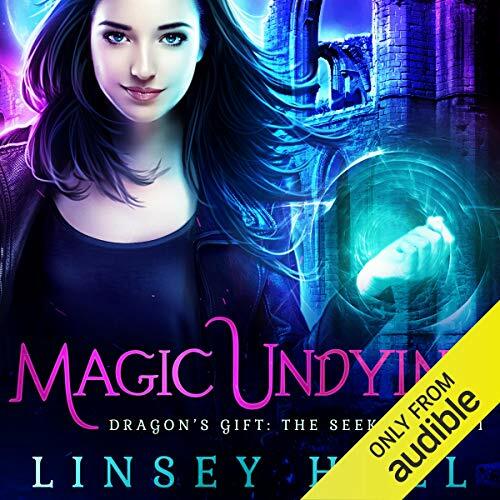 Magic Undying is a phantasmagoric romp through archaeological sites and Arthurian legend. The heroine, Del, starts the book out dead and trapped in hell - and things just get dicier for her from there. From ancient crypts to crumbling castles, her adventures transport her into a world of ghosts and mystery. Of the three heroines in this series, Del is my favorite so far, and I connect more with Del and Roarke than I did with Cass and Aiden. I think that is because, from the get-go, Del is up a creek. 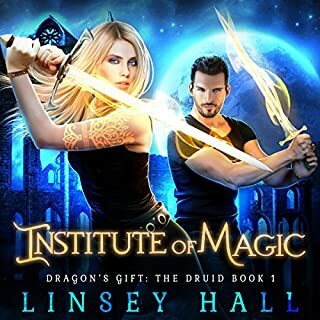 She has more to worry about than getting discovered by the Order of the Magica, namely escaping from hell, slow acting poison with an elusive antidote, massing demon armies, ancient riddles, ghostly powers that come without an instruction manual, as well as dealing with the loss of her old magical gifts - not to mention a romance with the man who is chasing her down. Each of these play a role in her emotional struggles, tugging her in all directions at once. Hall parallels her with Guinevere, a woman forced to take action in the face of an impossible reality. Del's path is so intriguing, that when the book ended, I wasn't ready. One of my favorite parts of this book is the author's note, where Linsey Hall (an archaeologist) talks about her myth building process. I think it is fascinating to see how Hall selected (and excluded) various archaeological sites and legends to sculpt the mythology of this book. She explains her decisions, liberties, and inspiration - and I like her myth of Guinevere. 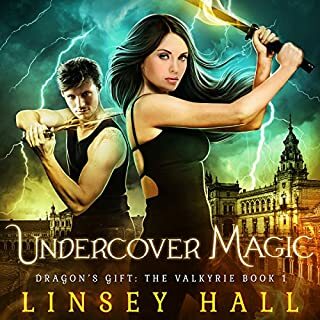 ֍ If you like tomb raider and magical adventures, you will enjoy this richly woven tale. BTW, Laurel Schroeder could read my anything, and I would listen to it all day long. I love her voice. I listen while I work, and I never find my attention drifting as she keeps things zipping along. I did not like her voice for Aiden in first series - but she does really well with everyone in this book. I especially like how she voices Nix, and I can't wait until she is the main character. New characters but almost the exact same plot as the first book of Cass's, right down to a tall, dark, and handsome foreigner. Still entertaining but less engaging. I started with Cass’ story, which is where you should start this. I think they could be standalones’s also. I’ve been loving the whole series so far. Great world built, great narrator and love the archeological themes too!! What i said up there s hundreds more times . I can't wait to see your next book. I already knew 3 chapters in that I will have to get every book in this series! What did you like best about Magic Undying? What did you like least? Del has her own journey to take to learn about her prophesied power relating to death. And could meet her significant other in the process. We meet Roarke here. And he's a special find for Del! Seems to be a perfect fit for Del and her death powers along with who she is attracted to. He does seem very hot! Roarke is special in his own way as well. Being different makes you a target, but he's turned that around to make himself needed. I really like what he is, and so does Del. lol. This relationship feels very similar to Cass's story with Aidan. Del and Roarke's attraction is so close to the same. And Del has her own journey to go through, like Cass, to learn her abilities and past before she woke with her sisters. Along with worrying about people learning what she is. The cycle feels very identical to Cass's story, if you've read her series. In the end I very much liked Del's new powers and where she comes to. It's an easy urban fantasy story with a sweet romance blooming, just like with Cass. Laurel is the narrator for Cass's books and is also voicing Del. I do enjoy Laurel's work as she voices each character differently. She gives each their own voice, and hearing Roarke is lovely. And hearing him in the same room as Aidan, veeeeery nice. lol. The girls each have their own voice though they are very similar but they do have their own personality, as do all the characters. Laurel has created a flawless narration here, from my ears. Starting this book, the first in Del's series, is like starting all over. If you didn't read/listen to Cass's series you would be safe to start with Del's. You get an explanation of each character and their world at the beginning to place everything. If you've read/listened to Cass's story, you'll see a lot of similarities. I'm sorry. I couldn't handle the person reading the book's voice long enough to even get through the first chapter. I gave the story 3 stars because it wasn't the author's fault that I couldn't listen to the audible book. I should have listened to the sample, so my bad. 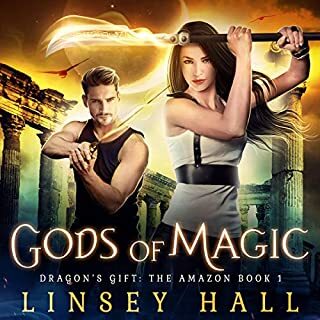 What could Linsey Hall have done to make this a more enjoyable book for you? I apologize to the author. I may try to read this later, but the voice over was too much for me. Nobody could see that one coming... etc. Hopefully the second Seeker book will settle the series into something better the way the Huntress series did and at least THIS Impossibly Powerful Man isn't from Scotland so his accent isn't taxing the narrator too badly.